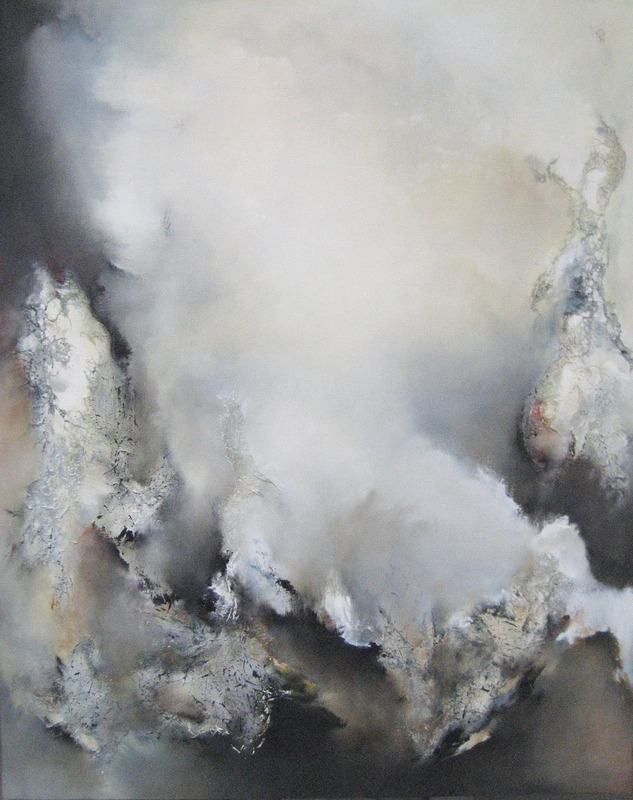 Oil/Mixed Media on Canvas, 60" x 48"
Rather than writing in a journal , Melanie Warsinske utilizes brushes and canvas to document her life path, preserving her memories and emotion. Travelling the world as a child with her family, she was fascinated by the shapes and textures she encountered in Nature. 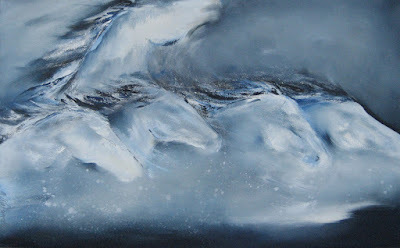 She saw clouds, water, mountains, even the human figure, as movement and form. 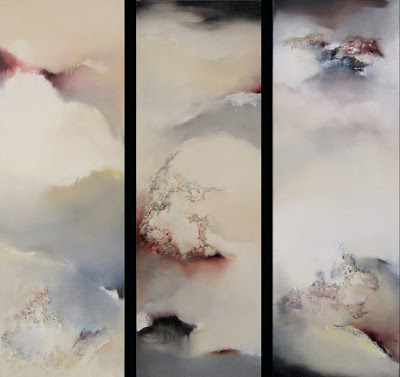 When she began painting, she translated those surroundings to emotion, then transforming them into visual representations. 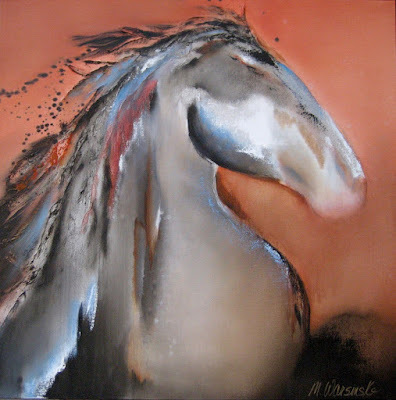 Melanie Warsinske at Mirada Fine Art, 'Majestic Warrior,' Oil/Mixed Media on Canvas, 40" x 40"
Encouraged by her family, Ms. Warsinske pursued a Bachelor of Fine Arts degree from Texas Tech University. Immediately thereafter she moved to Colorado, where she remains, continually inspired by its ever-changing majesty. Work as a technical illustrator, color study artist and graphic designer over several decades honed her technical ability. Experimentation in different media led to her current recognizable abstract expressionist style. The idiosyncracies of the environment continue to fascinate her—the contrast of motion and calm, power and vulnerability, drama and serenity. These seeming dichotomies are reflected in her recognizable work. She feels her strength as an artist lies in her ability to employ light and space, resulting in pure emotion being captured on canvas. Collectors throughout the United States connect with these visual diaries. She has shown her work internationally, most recently at the Los Arcos Gallery in Chacala Mexico, where she worked as Artist in Residence, and the Nagasaki Museum of Art in Nagasaki, Japan. Melanie Warsinske at Mirada Fine Art, 'The Surge,' Oil/Mixed Media on Canvas, 30" x 48"